On the heels of a rumor that Samsung has inked a deal with Apple to supply A-series processors in 2018, rival chipmaker TSMC is stepping up its own efforts to build 7-nanometer chips, in a potential showdown for production of an Apple-designed "A12" processor. Earlier this week, it was said Samsung secured a deal with Apple to resume making A-series processors in 2018. If true, the agreement would be a big boon for the South Korean electronics maker, which in recent years has seen its role in Apple's chipmaking business significantly reduced. Samsung's recent silicon struggles have come at the hands of Taiwan Semiconductor Manufacturing Co., which has become Apple's go-to partner for recent A-series chips. Notably, the A10X Fusion chip found in the latest iPad Pro was built by TSMC using the company's 10-nanometer process. But TSMC continues to look ahead, and is gearing up to build chips with an even more efficient 7-nanometer process beginning in 2018. In anticipation of that, the company has begun expanding its equipment suppliers, according to DigiTimes. The timing of the news is likely not a coincidence: TSMC's competing 7-nanometer process is likely vying for some share of Apple's so-called "A12" CPUs, expected to arrive in late 2018. With word that Samsung has edged in on its territory, TSMC is likely looking to fight back with its own competing process. TSMC has been preparing for volume production of 7-nanometer chips in 2018 for some time, planning to begin producing silicon with the 7-nanometer FinFET process in significant quantities by early next year. Getting its facilities online in that timeframe would allow it to build A-series chips for new iPhones, which typically launch in the fall. Apple has been identified as a prospective customer for TSMC's own 7-nanometer process, as well as Qualcomm, Nvidia, and Xilinx. 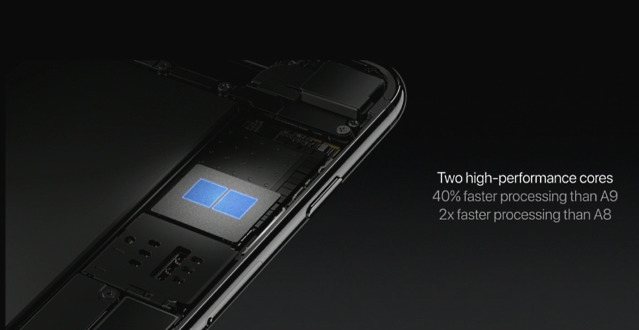 The current flagship A10 fusion chip found in the iPhone 7 family utilizes TSMC's 16-nanometer FinFET process. 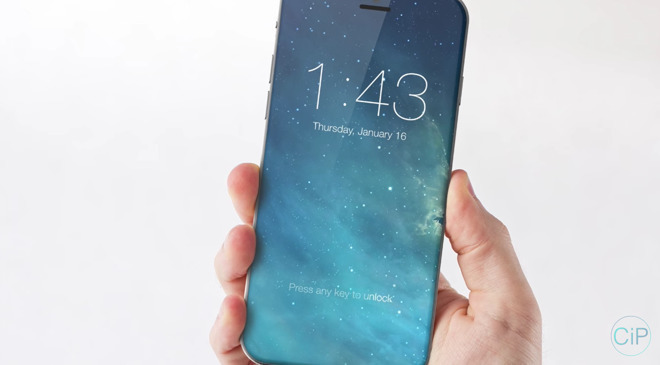 This fall's "iPhone 8" and accompanying "A11" processor are expected to use a 10-nanometer process, also from TSMC. Shrinking die size should allow Apple to cram faster processor technology into a smaller space, while simultaneously making iPhones more power-efficient, or at least keeping consumption under control.